Earlier this year I met Matt Appleman of Appleman Bicycles and have been a fan ever since. Looks like he just installed a new oven to cure his custom carbon frames. 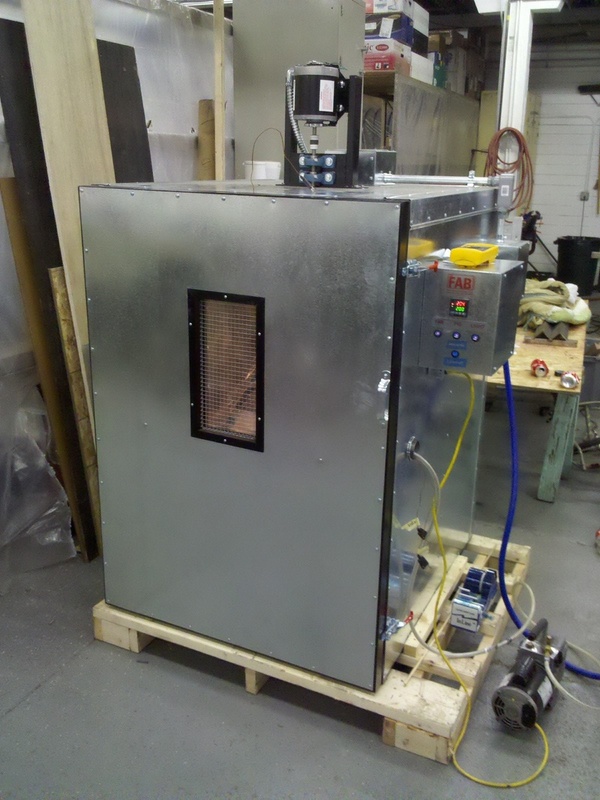 This new oven will allow Matt to, "control the temperature, ramp rate, and dwell times [which] is important to building a high quality (low void) structure." I think $3500 is a steal for a made to fit, made in USA, purely custom carbon frame. Check him his bikes out at ApplemanBicycles.com. hi, do you own an appleman bike? i've been thinking about getting one. No but if I were looking to get a custom carbon he would be number one on my list. I met Appleman at this years San Diego custom bike show. Smart guy and I was amazed at his knowledge of carbon in general.